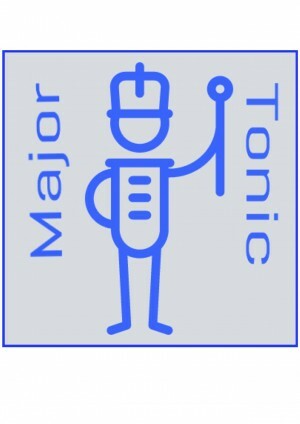 Our website address is: https://www.majortonic.com. Our business address is Major Tonic, Liverpool. The General Data Protection Regulation (GDPR) is a EU regulation which came into force on 25 May 2018. GDPR regulates and influences the way in which we handle personal information and data stored on individuals. • Processing is anything done to or with personal data, including storing it. • The data controller is the person or organisation who determines how and what data is processed. This Privacy Notice is provided to you by the owner of Major Tonic who are the data controller for your data. A description of what data and for what purpose is set out in this privacy notice. For all maters (including questions about this privacy notice) or to exercise rights, raise queries or complaints, please contact Barry Webb, Major Tonic, Liverpool. • Where you provide them to us we may process demographic information such as gender, age, and marital status. • When you purchase a product or pay for an activity such as concert tickets, singing days or participation in a concert we may process financial identifiers such as bank account numbers, payment card numbers and payment/transaction identifiers. The data controller will comply with legal obligations to keep personal data up to date, to store and destroy it securely, to not collect or retain excessive amounts of data, to keep personal data secure and to protect personal data from loss, misuse, unauthorised access and disclosure. • Our website is also accessible from overseas so on occasion some personal data (for example in a newsletter) may be accessed from overseas. Most of our data is processed because it is necessary (1) for our legitimate interests in providing a service to Major Tonic clients and in fulfilling our obligations to statutory bodies in keeping a proper record of our management and affairs and (2) because some of our processing may be necessary for compliance with a legal obligation. Where your information is used otherwise than in accordance with (1) or (2) we will first obtain your consent to that use, for example if you sign up to our mailing list you will have to confirm your subscription via a weblink before your name and email is added to the mailing list, and if you apply to take part in our events then you will have to actively accept our terms and conditions which includes giving consent to our processing of your data and use of your image and recordings of your performance as part of our operations. • Our agents, servants and contractors. For example, we may ask a commercial provider to send out newsletters on our behalf. Our email mailing list is maintained by rediwebhosting.com and a record of subscribers names and email addresses is held by them. Payment processing activities are carried out by WorldPay. • On occasion, other organisations with which we are carrying out joint events or activities. We will keep some records permanently if we are required to do so. We may keep some other records for an extended period of time. For example, it is current best practice to keep financial records for a minimum of 7 years to support HMRC audits. In general we endeavour to keep data for only as long as we need it. This means that we may delete data when it is no longer required. When data is deleted we will ensure that it is done so in a secure manner. • The right to correct and update any information we hold on you. • The right to have your information erased. • The right to withdraw your consent to the processing at any time for any processing of data to which consent was sought. Information submitted via the contact form will be retained for as short a period as necessary to deal with customer service issues arising and then permanently deleted from our system, unless it contains a specific request to be added to a list for our services. Details supplied via the contact forms will not be used for marketing purposes. Information submitted via the Concert sign up form, or a form for a specific event forms part of a contract between the client submitting that information and Major Tonic and will be processed for the purposes of fulfilling that contract in line with our terms and conditions which the client will need to agree to in order to submit the form. Personal data is encrypted within the website using SSL technology and stored behind a firewall.